NVIDIA Tesla T4 and Jetson Nano for testing – M Computers s.r.o. We finally got the latest products from Nvidia for testing — NVIDIA Tesla T4 and NVIDIA Jetson Nano. 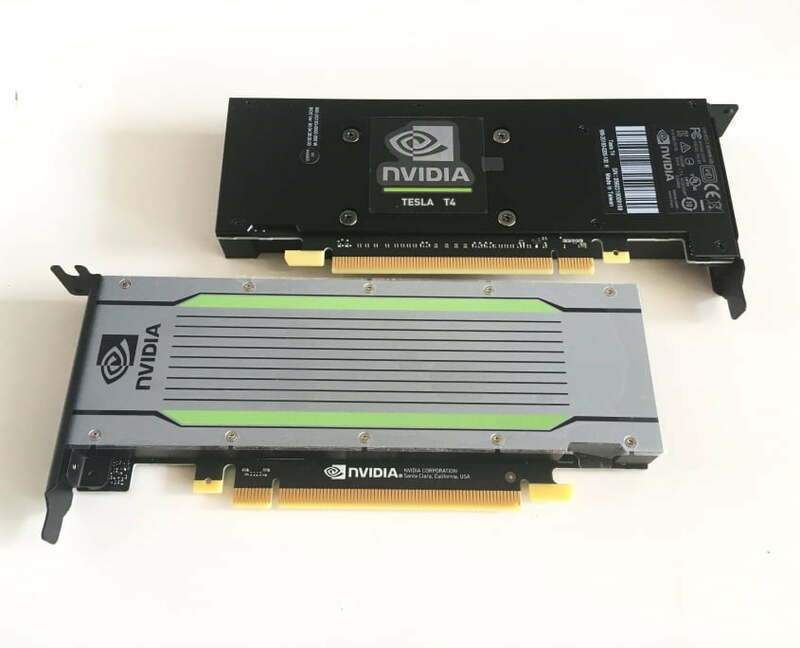 The NVIDIA Tesla T4 is a standard single-slot, low-profile PCIe card / accelerator with no additional power and with great power / consumption / cost ratio. NVIDIA Tesla T4 card is built on Turing chip and features 16GB fast GDDR6 memory. It is great for neural network deployment (inference). You can find NVIDIA Tesla T4 card compariosn with other NVIDIA accelerators on our NVIDIA Tesla site. 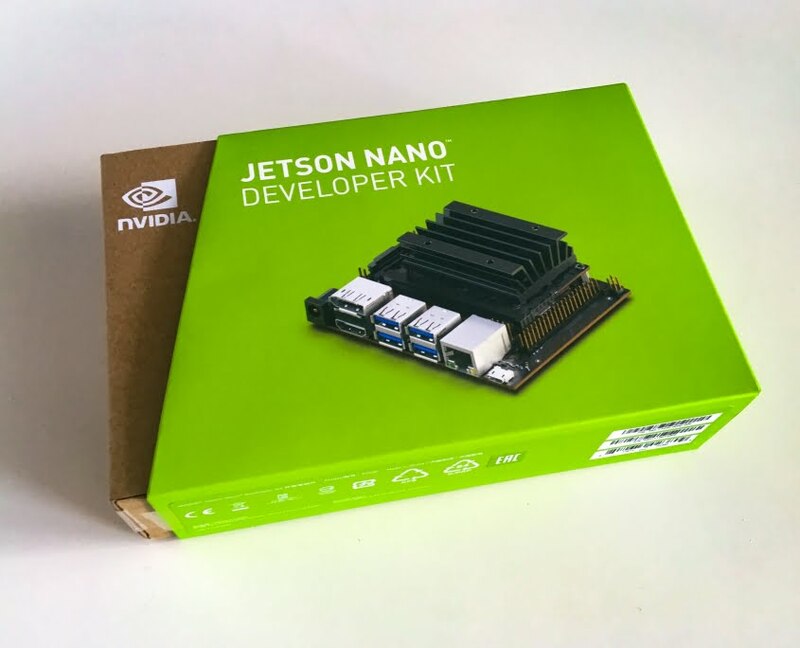 We also offer the new Jetson Nano Developer Kit for testing. This Mini PC with larger credit card size offer Maxwell GPU chip, Quad-Core ARM Cortex-A57 processor, 4GB LP DDR4 memory and Micro SD slot. Jetson Nano has a large number of ports – UART, MIPI-CSI for camera connection, 4K HDMI and DisplayPort output, 4 × USB 3.0, Gigabit Ethernet Port, 40-pin expansion slot (GPIO, I2C, UART). From NVIDIA, we offer Jetson Nano, Tesla T4, Tesla V100 32GB and DGX Station (4 × Tesla V100 32GB) for testing. If you are interested in testing or getting more information about NVIDIA products, please do not hesitate to contact us.